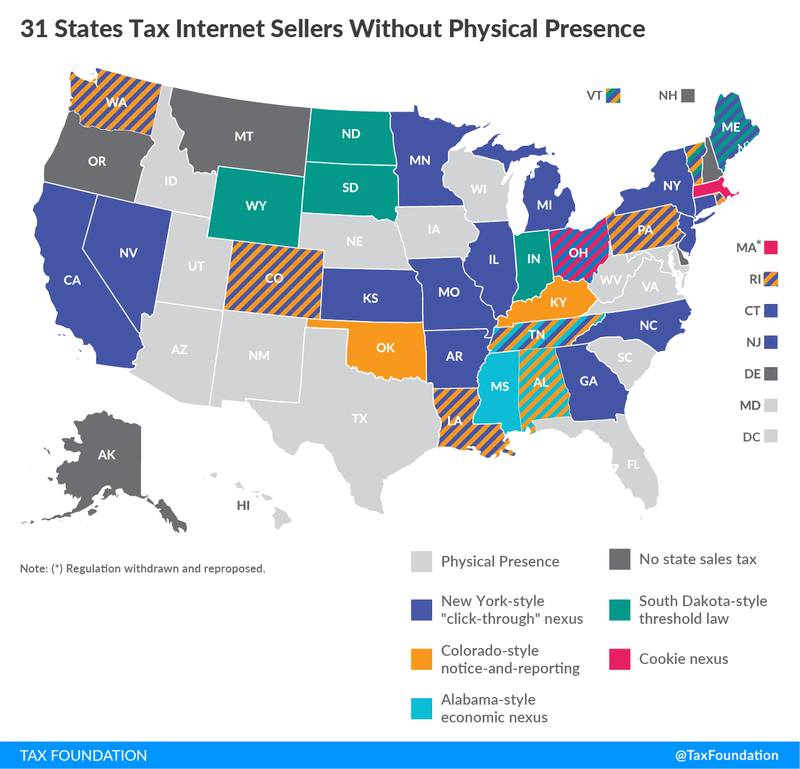 This map was created by the Tax Foundation prior to the Wayfair ruling. Note the “physical presence” states are no longer limited by the 1992 Quill protections as of June 21, 2018 and it is unclear what retroactive effect this event will have on the all the states approaches to non-registered retailers, online commerce retailers and traditional retailers. This entry was posted in Multi-State and tagged click thru nexus, economic nexu, notice reporting rules, sales and use tax, South Dakota v. Wayfair, tax foundation map, use tax, wayfair ruling by ZASALT. Bookmark the permalink.